Limericks Bud Lent, Happy Metal and Twinsters. Bud Lent, Happy Metal and Twinsters. Coming up, it's Lightning Fill In The Blank. But first, it's the game where you have to listen for the rhyme. 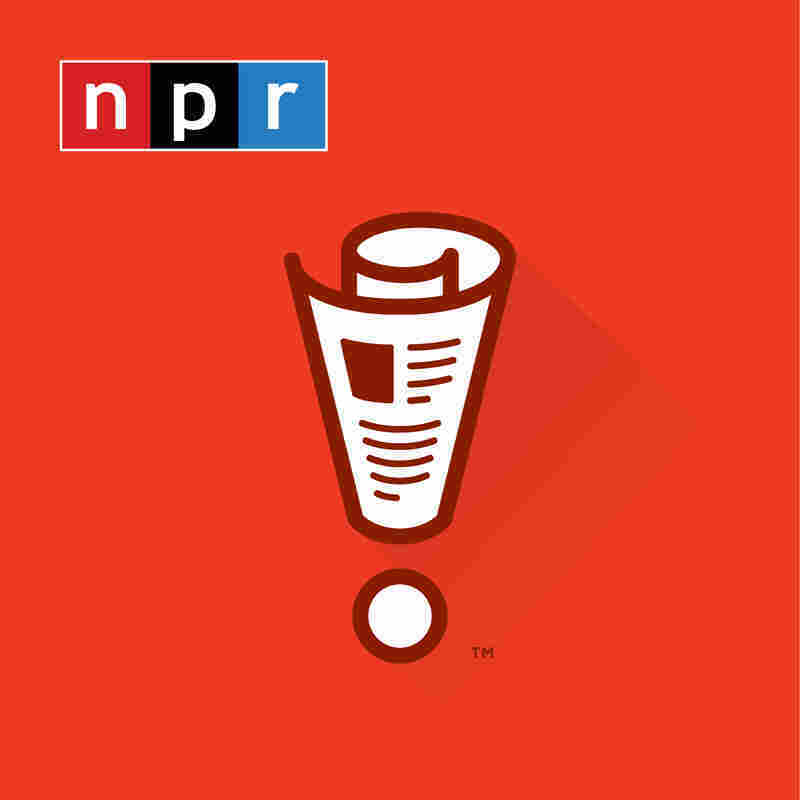 If you'd like to play on air, call to leave a message at 1-888-WAITWAIT - that's 1-888-924-8924 - or click the Contact Us link on our website waitwait.npr.org. There you can find out about attending our weekly live shows back at the Chase Bank Auditorium in Chicago and our upcoming show in St. Louis, Mo., on May 9th. MAGGIE LALLY: Hi. My name is Maggie. And I'm calling from Arcata, Calif.
SAGAL: Hey, Arcata. We know Arcata. LUKE BURBANK: That's where I was born. SAGAL: What do you do there in Arcata? LALLY: I am a theater teacher for children and a performance artist. SAGAL: You are a performance artist? SAGAL: What kind of shows do you do with the kids? LALLY: Well, actually, we had a show today. LALLY: And they were great. We teach ensemble-based theater. So they write their own shows. And they perform in them. And we had one show that was about a baby dragon who woke up every 50 years and the world changed. SAGAL: ...That's how we roll. SAGAL: Maggie, welcome to our show. Bill Kurtis is going to read you three news-related limericks with the last word or phrase missing from each. If you can fill in that last word or phrase correctly in two of the limericks, you will be a winner. Ready to play? BILL KURTIS: With a nice 5.7 percent, my all-liquid fasts - heaven sent. Except for some beer, no food will appear. I'm giving it all up for..
SAGAL: Perhaps, you have decided, as a good Catholic, to give up, say, something you love - beer - for Lent. You are an amateur. An Ohio man is making the much more sensible choice of giving up everything but beer. SAGAL: It's a sacrifice in the proud Christian tradition of asking, what would Jesus do to stay wasted? SAGAL: For 40 days, Mr. Hall's only caloric intake will be beer, supplemented by water or, as it's known in the brewing industry, Coors Light. SAGAL: Psychologists have determined that fans of death metal are not savage monsters desensitized to violence but are, quote, "nice people" who just happen to like songs about stabbing oneself. SAGAL: The researchers say that the dominant emotional response to death metal lyrics is joy and empowerment, granted it may be the joy of being a cannibal. But it's joy. SAGAL: The test group were played music by the band Bloodbath. SAGAL: ...Murdered four test proctors. SAGAL: Hipster. Here's what happened. SAGAL: An MIT journal used a photo of a hipster in a study about how all hipsters look alike. SAGAL: And a self-described hipster wrote in and said, hey, you used my photo without my permission you lame - you losers. And they check. And no, it is a different hipster. HELEN HONG: He couldn't see past the handlebar mustache? SAGAL: Apparently not. The study was immediately pronounced double true and is now the single unified theory explaining the entire universe. SAGAL: Bill, how did Maggie do on our quiz? KURTIS: Maggie did very well - three points. She's a win. SAGAL: Maggie, thank you so much for playing. LALLY: Thanks for having me. Bye.